Lost Keys Services - This is our number one service. People often lose or misplace their keys. If you need a dependable locksmith, we can help. Auto Locksmith Services - We understand how truly frustrating it can be when you lose your car keys or get locked out. You can trust us with accessing your car. And we won&apos;t gouge your pocketbook. If you need a locksmith, you have come to the right place. We offer the highest-quality work and offer a satisfaction guarantee. We have hundreds of return customers who are fully-satisfied with our work. It is our job to make all of our residential and business customers feel safe. No job is alike. We will come out to your home or business and give a full inspection. We will answer all of your questions and address all your concerns. Master Key Services - We understand that businesses need master keys. 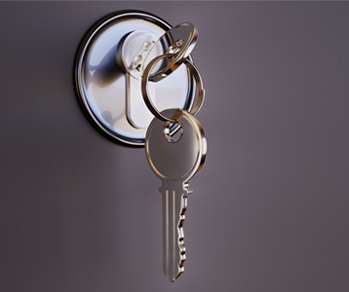 We can help with master keys for janitorial services, hotels, office managers, and more. In addition, we offer master key services for padlocks, drawers and cabinets. Transponder Keys - Transponder keys are becoming more popular with today&apos;s vehicles. These electronic keys are programmed for vehicle&apos;s specific code. We offer a transponder program that will get you in your vehicle without the hassle of having it towed to a dealership. Branded Auto Keys - Losing or breaking a key can be a real headache. Most keyes from newer vehicles are very complex and equipped with new technology. Our professionals at Integrity Locksmiths are the number one source for branded auto keys. Don&apos;t allow issues like this to become a problem for you. If you lose or break a key, call on one of our qualified professionals to help. At Integrity Locksmith Services, we understand you need to get access to your car, lock box, business or safe as quickly as possible. Feeling that sense of vulnerability is something we have all faces some time in our lives. With Integrity Locksmith Services, we promise to offer you fast, safe and professional services at all times. We are open even on holidays for your locksmith needs. We employ dozens of professional locksmiths who are on call day and night. If you get locked out just give us a call and we will be there in no time. We know you will be satisfied with our services. So, don&apos;t allow yourself to be inconvenienced and stressed. We offer quick and professional services whenever you need. Call on us for quick, dependable, and affordable services if you live in the Orlando area.